[OOC] A place for newcomers to introduce themselves and apply to become a member state. @Veloom-Forewood said in Diplomatic Applications: Nation Name in NationStates: Veloomland Region: European Union Applying as: Diplomat Current alts and participation in other regions (if any): None Past participation in other regions (if any): None You, er, might want to read the post right above yours. I see you've already applied to be a member state, and I'll process that later. Information about European Union member states. The legislative body of the European Union, where each member state has an equal vote. The European Union's executive body, consisting of three elected members. The judicial authority of the European Union. EUROPEAN COURT OF JUSTICE CASE PROCEDURES Case procedures in the European Court of Justice are predominantly governed by two pieces of legislation – the Constitution of the European Union and the European Court of Justice Case Procedures Act 2013. Where roleplay unrelated to the regional authorities takes place. For matters relating to NationStates. Established embassies of other regions. Apply for an embassy in the EU here. [OOC] Admin announcements, as well as questions and complaints about the forum, go here. Hi all, You may have noticed that we now use Markdown, a slightly different formatting syntax to the one we used on previous forums. Not all of the possibilities Markdown has to offer are in the bar above the edit box when you post, so here is a guide to those elements. If you have any questions, as ever, don't hesitate to ask. [OOC] Chat of all kinds, spam games, etc. all goes here. EUROPEAN UNION HISTORY AND OLD FORUMS The European Union is one of the oldest regions on NationStates, dating back to 2003. We've had regional forums during most of that time, but we've moved from forum to forum over the years. Unfortunately, most of these forums were hosted on a free forum hosting service called Invisionfree, which due to being bought out by Tapatalk closed down in 2018, taking the old forums with them. It may be possible to request that these old forums be restored, but for the meantime they are, sadly, inaccessible except via the Wayback Machine. EU Forums v.1 These forums are sadly unavailable even on the Wayback Machine, and the link is only there to preserve the URL for posterity (or future research, if anybody is so inclined). Soviet Union, a former player of the game who, until he left, was probably the last person to remember these forums (or v.2 or v.3, for that matter) described these forums as 'fun stuff,' and based on NationStates. They were established in 2004 and most likely ran into 2005. EU Forums v.2 Soviet Union described this as the 'golden age of EU', and essentially a continuation of v.1, run by the same group of people. It was no longer related to NationStates (although the NS region continued), but had a global map and roleplay, and what Soviet Union called an 'awesome RP community'. These forums ran until late summer 2005. EU Forums v.3 These forums ran during autumn 2005. Soviet Union described them as totally unrelated to NationStates and 'filled by wankers'. EU Forums v.4 These forums were created on a separate Invisionfree server to the previous versions, and were the longest-running iteration of the EU forums. They were founded in late 2005 and ran until summer 2015. They are the oldest forums anyone still here remembers. As someone who has been here since 2008, I'd say that these forums included, amidst a whole host of ups and downs, the second golden age of the EU. 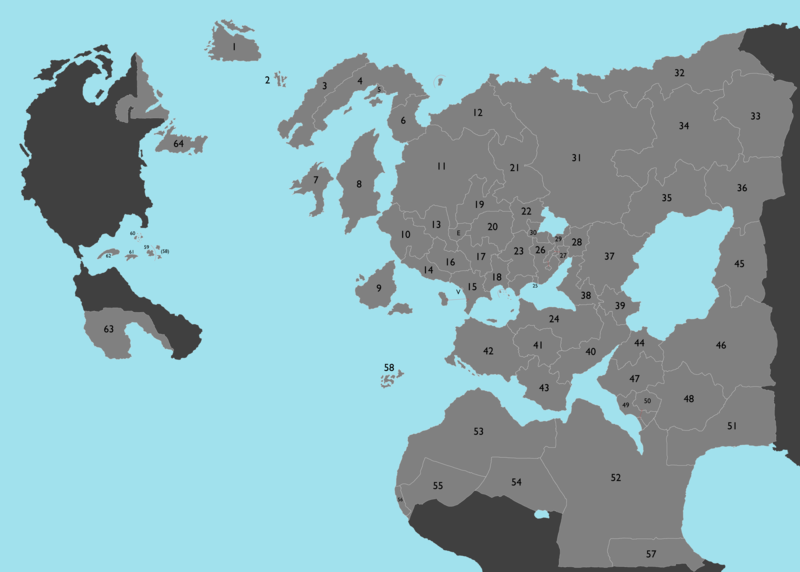 The forum community reconnected with NationStates and the EU – region, forums, RP, community, &c. – as we know it today really took shape during this time, and you'll notice that the forum categories are quite similar to those we have now. EU Forums v.5 These forums were created in 2015 when we decided to move away from Invisionfree to our own website, partly in order to prevent Invisionfree doing exactly what they did in 2018. All data was transferred over from v.4. This era was a mixed and eventful one. The NS region had been going without a founder for some time, making us go to great lengths to protect us from invasion; so in August 2017 we refounded the region – everyone decamped to a placeholder region, the region ceased to exist after 14 years... and then it rose again from the ashes. However, this upheaval made maintaining a forum community more difficult, and the forums suffered from significant periods of inactivity. The forums were effectively closed in September 2018 after it emerged that Russian bots, who for some reason had taken a great interest in a website literally called 'European Union' with 'europeanunion' in its URL, had spam-created so many accounts that it had damaged the database. These forums now serve as our archive of everything from before 2019. EU Forums v.6 Does this look familiar to you? Archive of all the old threads and posts which are no longer used or have some historic value.